I raised a couple of GSP's back in the '80's and used Delmar's book. His approach is really down to earth and logical. The DVDs are great, in particular Electronic Collar Gun Dog Training. "I feel this is a necessity in understanding hunting dogs." I feel this is a necessity in understanding hunting dogs. Delmar teaches a wealth of dog sense. Learn from a nationally renowned professional bird dog trainer and Field Trial Hall of Fame member. 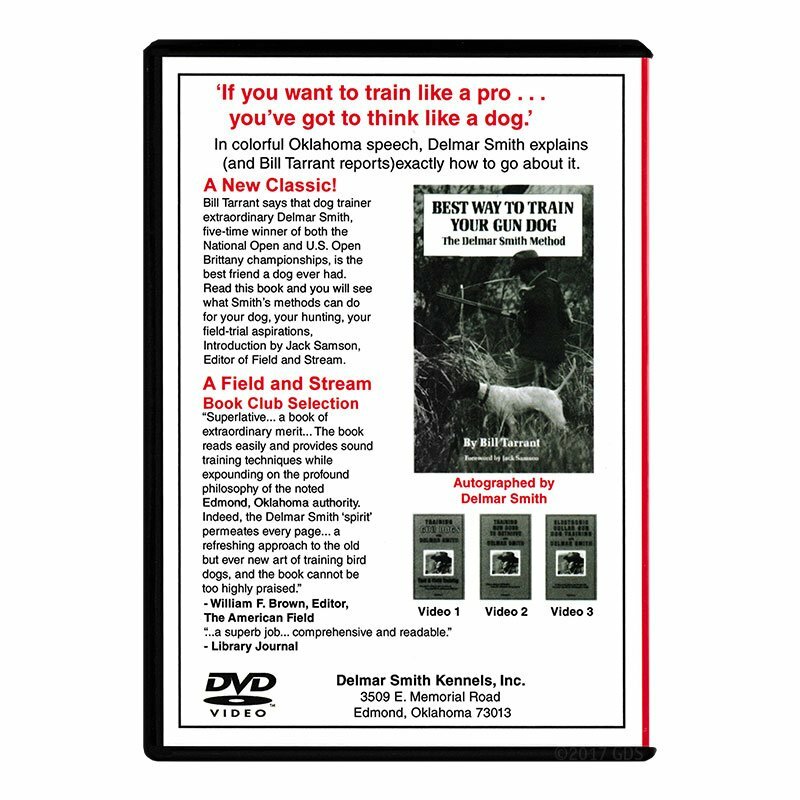 Nationally renowned professional bird dog trainer and Field Trial Hall of Fame member Delmar Smith of Edmond, Oklahoma, explains the Delmar Smith method of training pointing dogs. 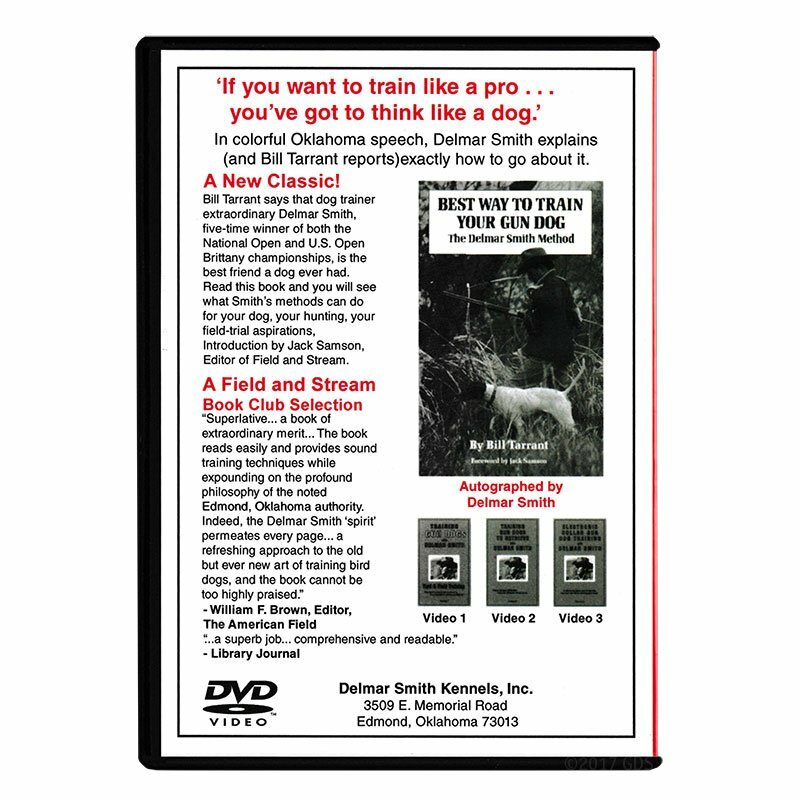 Volume 1 -- Yard and Field Training Smith (assisted by sons Tom Smith and Rick Smith) covers the bird dog basics from introducing 8-week-old puppies to the field, tying a bowline knot in a check cord, and making and using a "chain gang" to teaching a dog to be steady to wing and shot and to mark his birds down. Yard and Field Training Volume 1 includes teaching "all right", "here", "ho", "birds", "whoa", "sit", and "heel" using a 20-foot check cord, a pinch collar, a "whoa post" and a "pigeon on a hose". 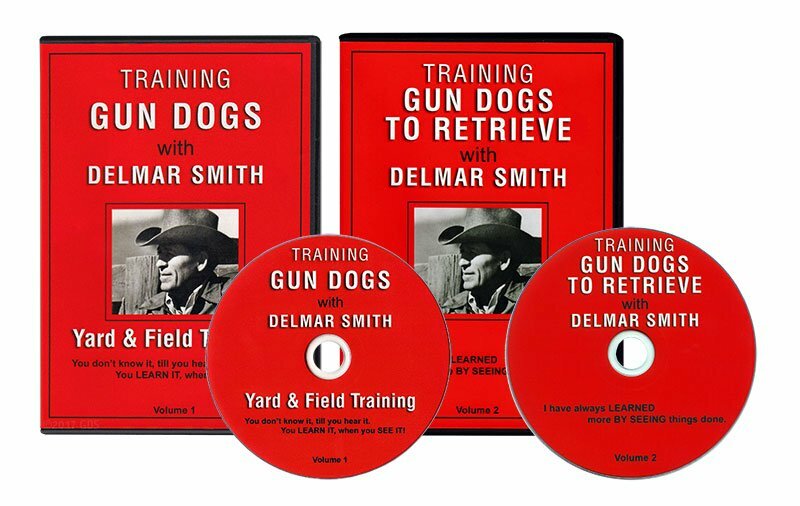 Volume 2 -- Training Gun Dogs to Retrieve Delmar Smith is back with his second training video, focusing on teaching gun dogs to retrieve. 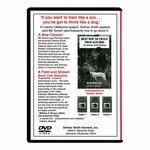 On this DVD, Delmar explains the equipment used, the stake-out chain, the retrieving table, and sacking out a dog.